Happy New Year! I hope you had a wonderful Christmas holiday. We didn't go anywhere since we have relatives visiting from overseas. My kids got sick right after Christmas because we had people who were sick at our house parties. Fortunately, I had been keeping them on Vitamin D3 and K2 throughout December to help boost their immune system. It sure helped as their cold symptoms were mild and they got over their sickness in 3 days. Many people have asked me about these vitamins so I decided to post about them here in hopes they can help you too. I forgot how I discovered Vitamin D3 and K2. I know I have been taking them since 2017. The first thing I noticed was how I didn't catch my kids nor my coworkers' sickness that year. Prior to taking these vitamins, I would get sick at least twice a year which lasted a good 2-4 weeks. My coughs were always terrible with thick yellow or green phlegm. My daughter and husband would always get nasty coughs that lasted 2 months. When my kids caught the cold bug last week, they started off with the typical sore and itchy throats. I gave them 1 vitamin D3 (1000 IU) after lunch and then 2 more after dinner with one K2. Sore throat wasn't bad and went away on the 3rd day with a residual slight cough. My kids got sick one after another and each took the same dosages of D3 and K2. Their sickness didn't progress any further than a sore throat that hurt about 50%. My husband who usually stays sick for at least 2 weeks was able to overcome the cold in 4 days. He took 6 vitamin D3 (2 in the day and 4 in the evening) because he's an adult and also his symptoms came on pretty fast with constant sneezing, headache, and sore throat. There is a lot of literature online about the health benefits of D3 and K2 for healthy bones and heart. There are also studies conducted on how these vitamins protect the respiratory system against infections and boost the immune system. The brand I use is Nutrigold vitamin D3 and vitamin K2 MK-7. I tested other brands and found this particular brand is more effective and works best. I learned that taking D3 alone is not as beneficial. It's more effective if you take it together with K2. Please do not mistaken that all vitamin Ds and Ks are the same. The ones I am referring to are D3 and K2 MK-7. There are other category of vitamin Ds and Ks. You can read about the differences of vitamin Ks and Ds by clicking on their respective hyperlinks. I hope what has worked for my family will help yours. This is not a paid advertisement for Nutrigold by the way. I would only give honest opinions on products that I believe in and use myself. In addition to taking these vitamins, I would like to emphasize about eating healthy too. The nutrients in whole foods help sustain our health. You can't just simply rely on taking Ds and Ks to protect you against the cold and flu. I made sure my family didn't eat any greasy, fried, spicy, or junk food while they were sick. We stayed away from beef since red meat tends to aggravate and make the cold symptoms worse. So we pretty much ate pork and fish with lots of green veggies, pears, and apples. We also stayed away from acidic food like orange and vinegar. Like most kids, my 12 year-old daughter got caught up in the latest DIY slime making trend. She loves science and she loves to experiment with making new things so I thought her newest passion was great. She was learning how to make her own slime at home rather than spending her free time watching TV or playing online games. When she gave me the ingredients list to buy, I have to admit, I wasn't too thrilled about her handling a few of the ingredients especially borax and laundry detergents. Nonetheless, I allowed her to make slime under my supervision because the ingredients were not safe for kids to handle. The first slime batch my daughter made turned out pretty good. It was a bit gooey but aside from the loose consistency, I was impressed on how easy it was to make homemade slime. I made sure she wore gloves though simply because I didn't know if she would get skin irritation from handling borax and laundry detergents. When she passed the skin irritation test and after I had watched her make a couple more batches, I felt assured everything was fine. I did tell her to always wash her hands thoroughly after she was done making or playing with her slime. 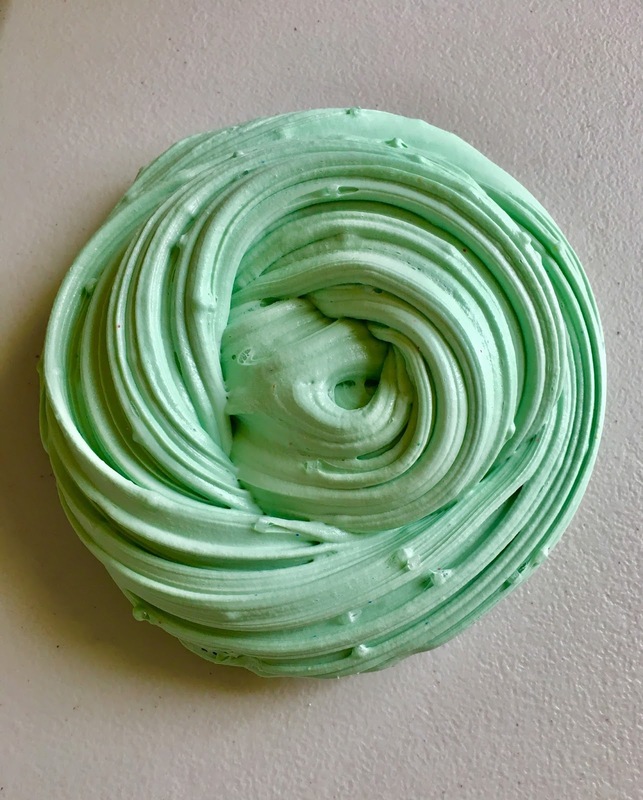 As she's gotten comfortable in making regular slime, she started to experiment with making fluffy and floam slime which is basically slime with added small styrofoam or plastic beads. The ingredients list grew longer and the quantity bigger - gallon size glue, glitter, foam beads, contact solution, shaving cream, and soft clay. I think it was probably after one month of making and playing with slime that my daughter began to exhibit cold symptoms. She had a sore throat followed by a headache for about 5 days. Soon after that, her cough kicked in which didn't go away by the second week. She had this spasmodic cough that went on for 2 days until I started to suspect it was not an ordinary cough. My daughter has a pretty strong immune system. Whenever she would feel the first sign of a cold coming. I have had success in nipping the cold in the bud so the symptoms didn't manifest any further. She has always recovered quickly from any cold she's had except for this last one. I suspected it was probably the slime she was constantly playing with. I took away all her slime and at the same time, I gave her a natural cough syrup that contains elms bark. Within 2 days, her cough had subsided significantly. All of her cold like symptoms went away within 5 days. 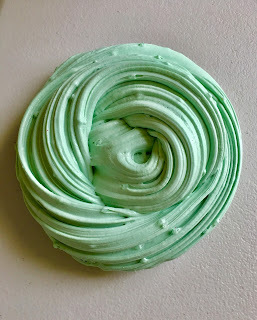 I threw away any slime that was made from borax and laundry detergents. The only ones I allowed her to keep were the ones made from contact lens solution and natural hand soap. She also knows to limit her time playing with the slime to about 5-10 min a day and for the ones that is overly fragrant, she knows to wear a face mask. All the precautions we took have so far prevented her from getting sick. For all parent out there reading this, I hope you take diligent care when your kids make slime at home and to check the ingredients of whatever they are using to ensure they are not toxic with heavy fume or fragrance that may lead to respiratory problems.